I started Twins Mommy a little over a year ago and I can’t believe how amazing it has been. I have connected with so many amazing other mom bloggers and helped a lot of my email subscribers with growing their blog. I also have a thriving and growing Facebook group. And it all started with a website. But, if you are anything like me, you probably are thinking that this is too difficult, right? There’s the tech side of things. How do you figure that out? Then there’s trying to figure out your niche. What do you want to share with the world? Then, of course, how do you get the world to your blog and eventually make money from blogging? But, you know what? If you break it all down, you can do it! And I have an absolutely free course to help you. Sign up below to grab the free course! I’ve bundled all the necessary steps into a 6-day email course. Every day you’ll get an actionable tip to inch you closer to getting your blog ready for your audience. From figuring out your niche to proven traffic generating tips to creating beautiful Pin graphics. Who doesn’t like free? This course also comes with over 93+ freebies for you. Free WordPress Guide – I walk you through the steps to start your WordPress guide as well as customize your pages. 35 Places for Free Stock Photo Guide – I compile a list of 35 amazing places for free stock photos so you can build a successful brand. Blogging Toolbox – This comes with 20 blog post ideas, 24 proven ways to grow your email list, and 14 free tools to grow your blog traffic. Canva video tutorial – I show you how to create a beautiful Pin graphic using Canva. You hear so many stories about bloggers making money with their blog, and now you want to try your hand at it. This course will help you with starting to grow your income blogging. 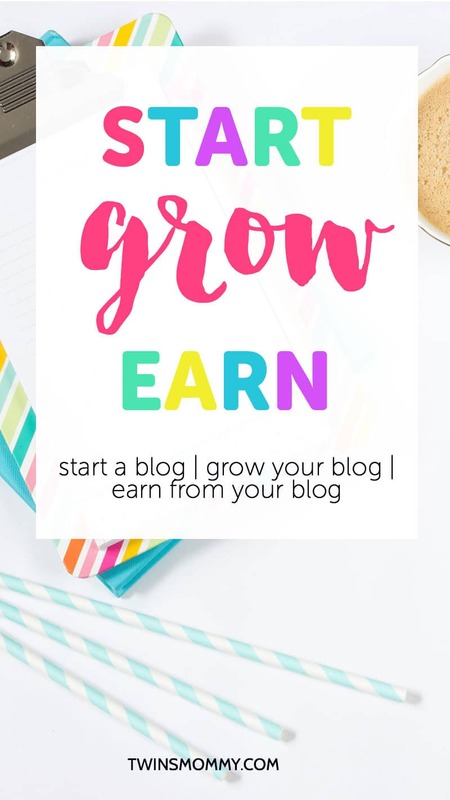 It is possible to earn from your blog if you have eyes to your blog and this free course will give you all the tools you need to make this happen. Imagine your blog if you started today. By this time next year, you’ll have a thriving blog and a loyal audience. I can’t wait to hear about your new blog! Join the course today! If you take action with this free course, you’ll end up growing your traffic! 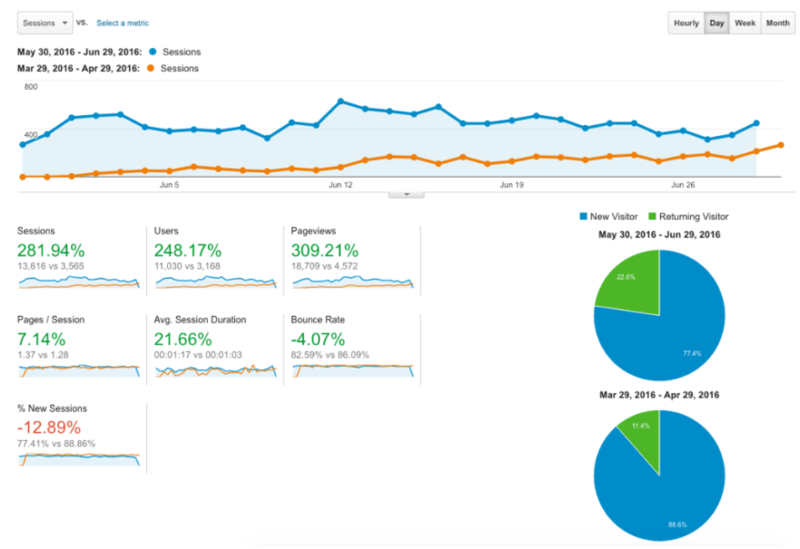 Within three months of starting this blog my traffic tripled! My pageviews have since grown to almost 60k every month! Hello, I was trying to sign up for the free 6 day blogging course and a few others on your website and it wont send anything to me. How can I sign up for these courses, emails etc. that I want to learn from you? Your site is the most informative and not fraudulent in my opinion and I would love to join. Are you already on my email list? If so, you may not be able to sign up again unless you use a new email address. So try with another address! Thank you so much for yet another helpful post – you’re kind of my mentor in starting my blog now! I have a question for you if you have a moment please? I’ve started my blog about a month ago and am fairly happy with how it’s going – although I’m not getting many visitors yet, but hope to do something about that in the near future. I’ve found there’s so much more to do than I anticipated!! It took me quite a while to build the site since I don’t have any computer knowledge of this nature, then setting up pinterest and learning how to make graphics & join group boards, joining affiliate programmes… the list goes on! I’m loving it but with my other commitments (work, law degree, small child) I’m feeling more or less at breaking point!! Could you tell me the top two or three things you’d recommend I focus on for now? What do you think is most important? Thank you so much if you get a chance to reply, I value your advice! <3 Thank you so much!! Congrats on starting a blog. It's common to not get many visitors at first so you are on the right track! As for what to focus on NOW, I would focus on blog content and then email growth (if you plan to monetize your blog). So create a content plan with 3-5 resource types of posts or guides as well as how-to type of content that provides action and help. After that then focus on email list building.